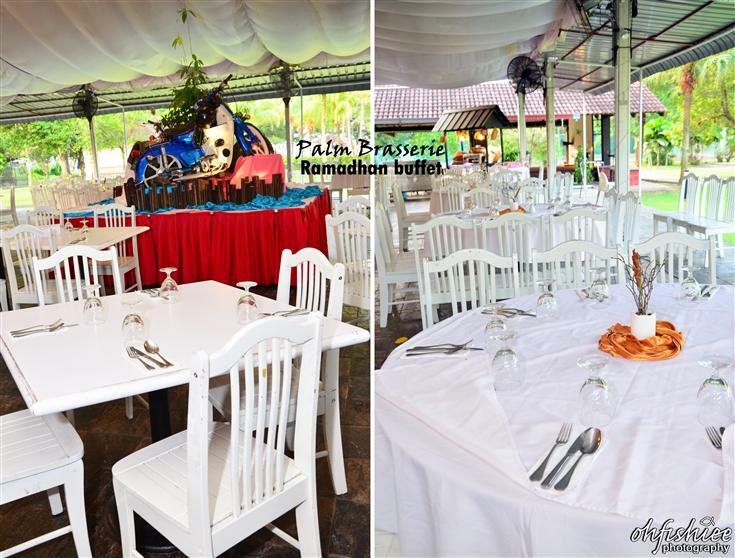 Palm Brasserie is an all-day dining restaurant located along Pantai Desaru, Johor, Malaysia. I was there for a weekend holiday and to savour some authentic Malay cuisine from the South in conjunction to this holy month of Ramadan. 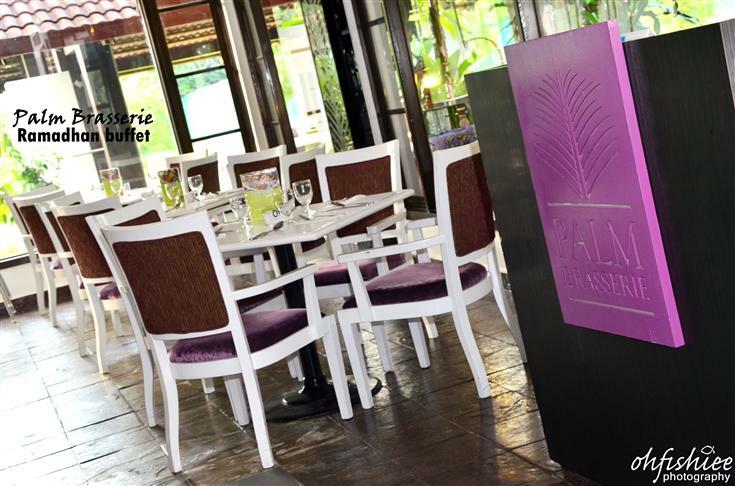 Complementing the resort’s chic concept, Palm Brasserie is themed purple and white, suitable for casual and family dining. Overlooking the lush greenery and swimming pool, I enjoy both my breakfast and dinner there with tranquility and calmness. Apart from dining indoors, the al fresco dining is great during the evening with the gusts of wind near to the seaside. 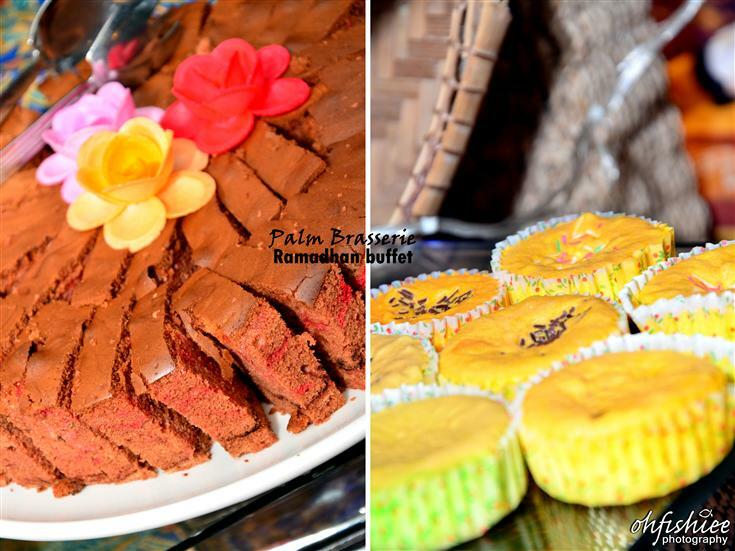 Here the Ramadan spread showcases the best of Malaysian cuisine. Based on the popular feedback, some of the old favourites have made a comeback in the main course list. When I reach the salad corner and see the array of Kerabu as well as Western salad waiting to be savoured, I am more than delighted to try them all. 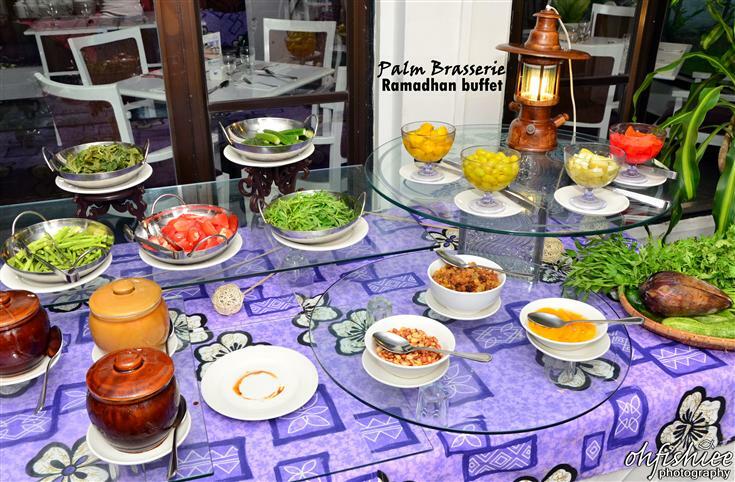 Freshly cut vegetables, pickles, sauces and other condiments are neatly presented on the buffet spread. 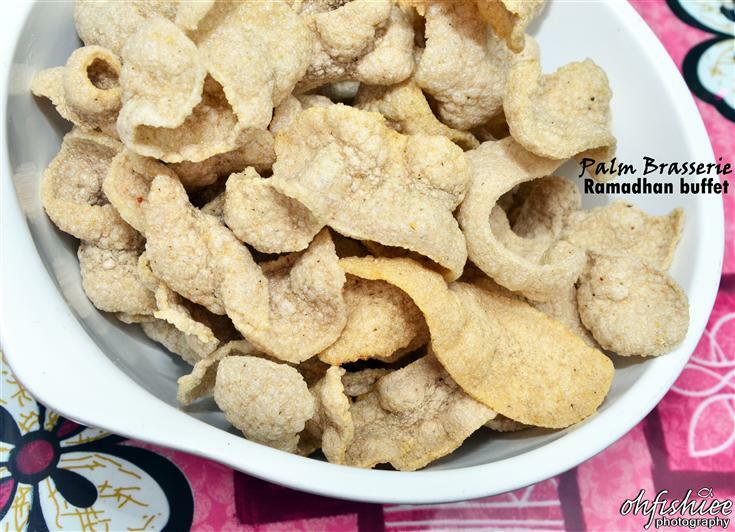 For starters, my favourite is the Bamboo Snail in Chilli Pulai Sauce because it comes in a crunchy texture with mild peppery flavours without overwhelming the natural freshness of the bamboo snails. 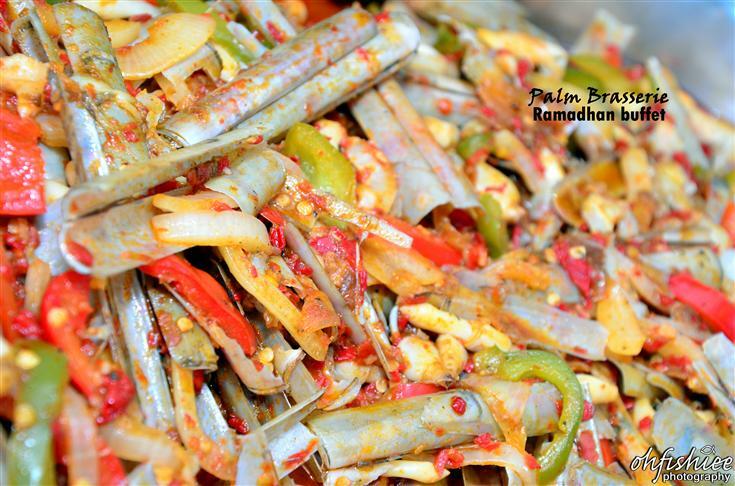 Since fresh seafood can be easily found here, I head for more at the seafood corner of the buffet spread. Next, Sweet and Sour Beancurd is more of Chinese style, which I also tried some to balance up my taste buds after some hot and spicy dishes. 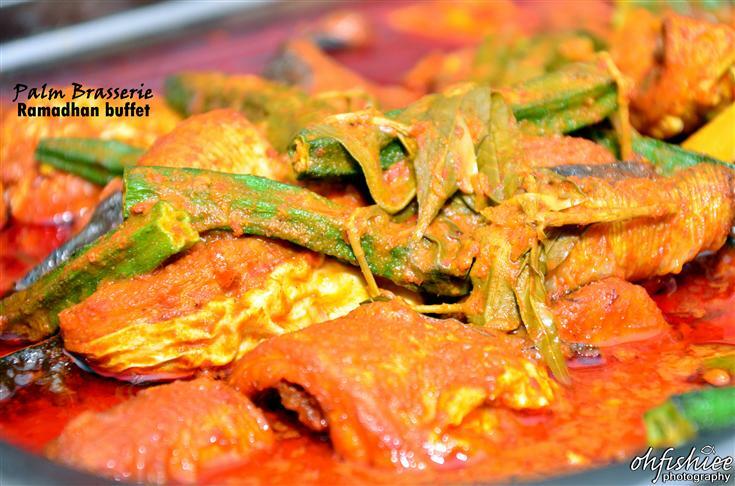 After a whole day of fasting, you may want to ease your way into enjoying the piping hot broth of Sting Ray with Hot and Sour Gravy Johor Style which is so rich and creamy with bursting flavours from coconut milk and fresh seafood. 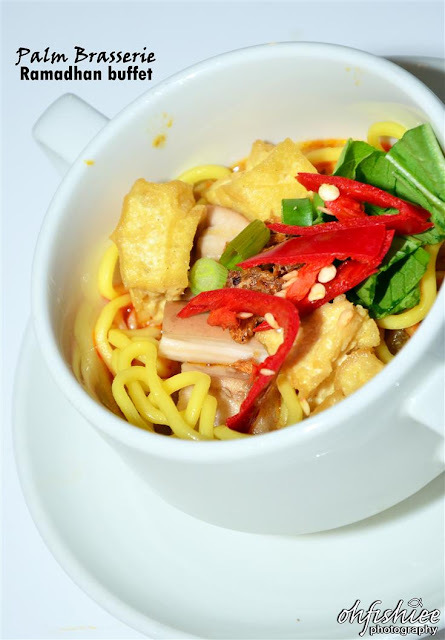 Comes with just the right amount of spices, the aromatic chicken is cooked to perfection and best served with sticky Pulut Kuning. 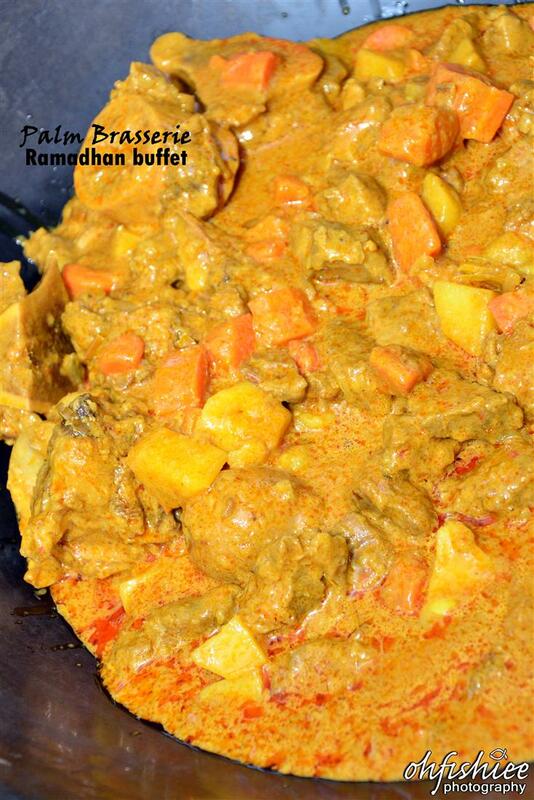 Dip it into the curry and allow it going with bursting flavours. 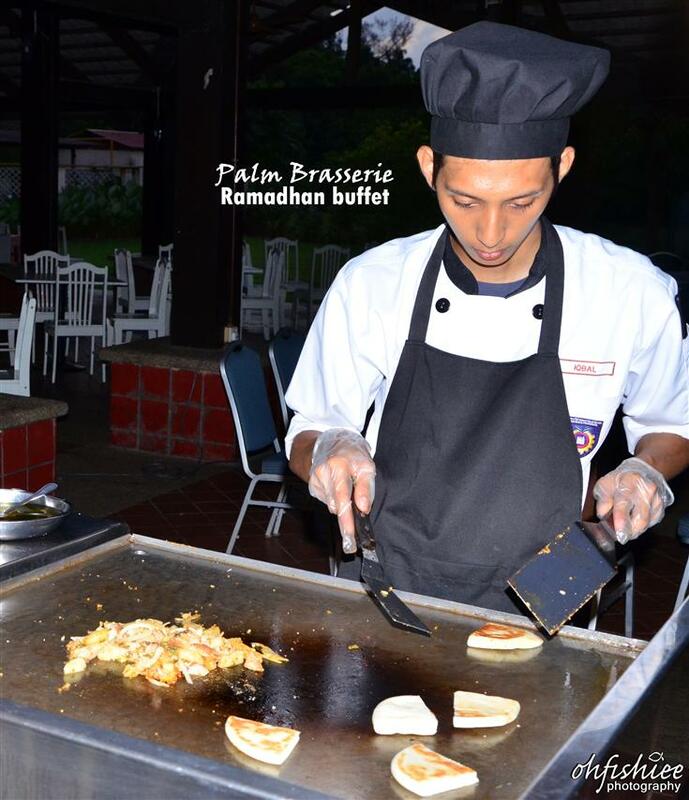 For al fresco dining, there are many live cooking stations set up around the garden area, where you can enjoy the freshly prepared food and pick your favourite from the hawker fare assortments. 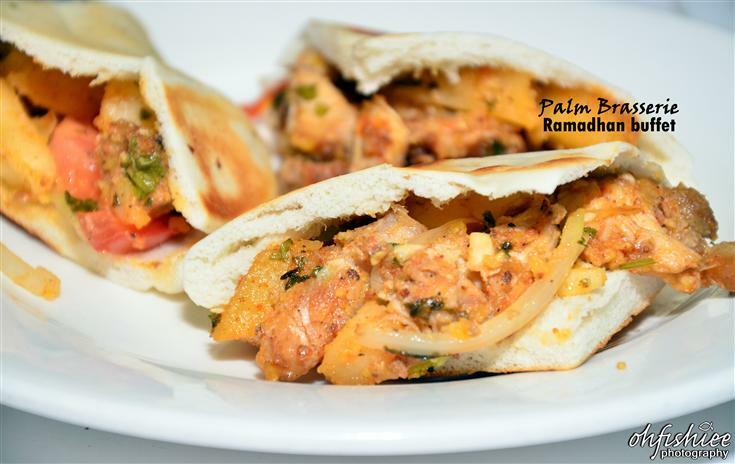 If you find the authentic kampung dishes and quintessential hawker cuisine too bland for you, here the chef also presents you a popular Middle Eastern but localized dish. 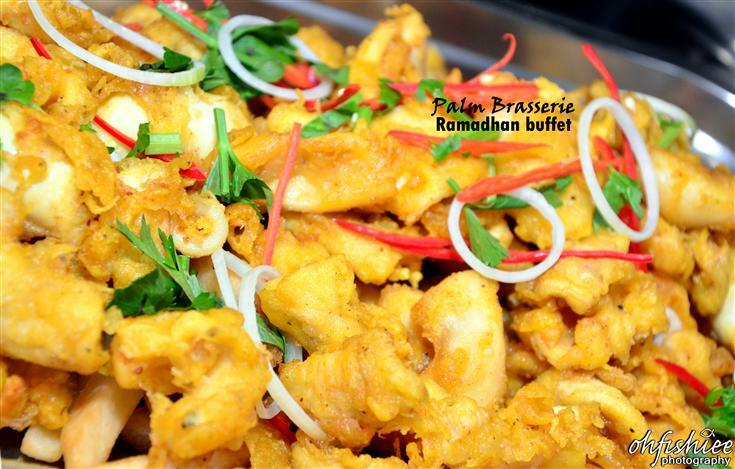 The tender and juicy chicken is flavourful with perfect blend of spices, blended with chunks of potatoes and onions. The broth is so light with some toppings of my choice. The beef boiled in the broth for hours has revealed its goodness into this homely, heartwarming soup. 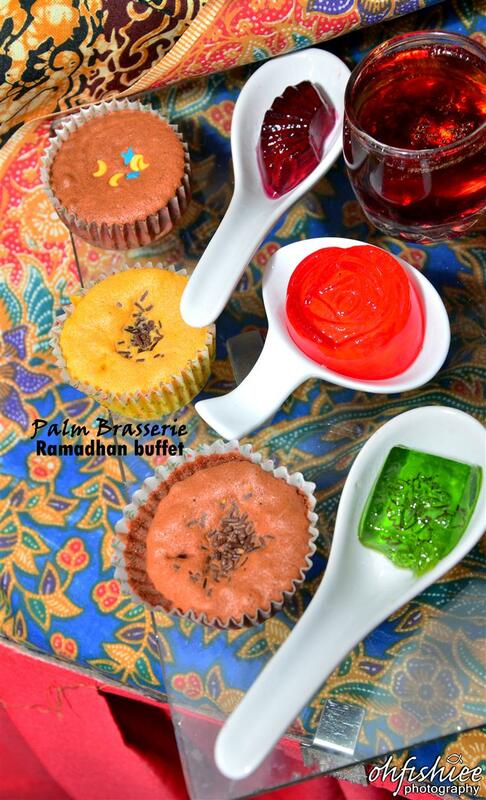 Of course no food journey is complete with dessert and Palm Brasserie serves the colorful assortment on a beautiful setting of Malay songket. 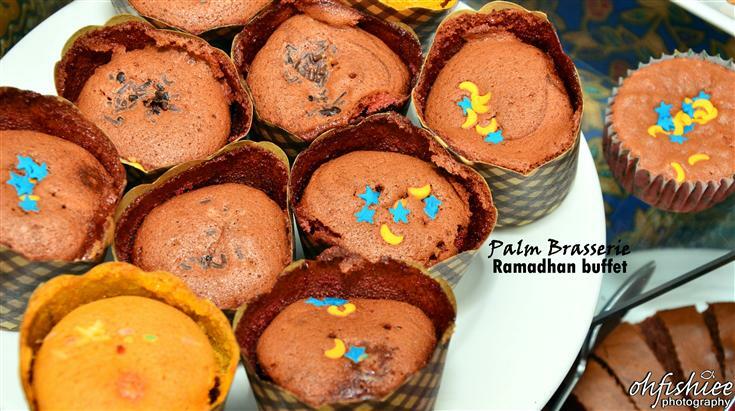 I'd enjoy taking a pick from a variety of Malay kuih, sponge cakes, cupcakes and colorful jellies and the all-time local favourite- Ais Batu Campur (ABC)! 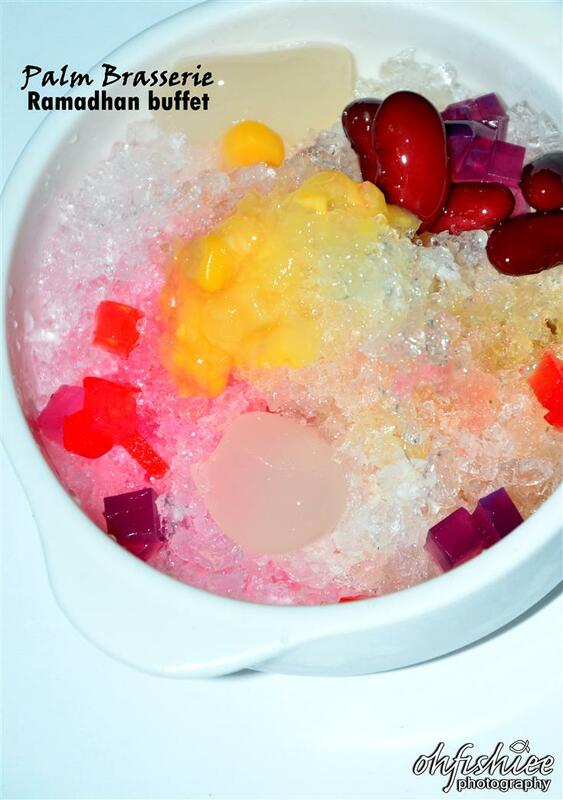 Sadly, I couldn't spot any chocolate fountain and fruit skewers but I'm pretty satisfied with the Shaved Ice with Condiments which is simply thirst-quenching and perfectly served as an endnote of the sumptuous dinner. 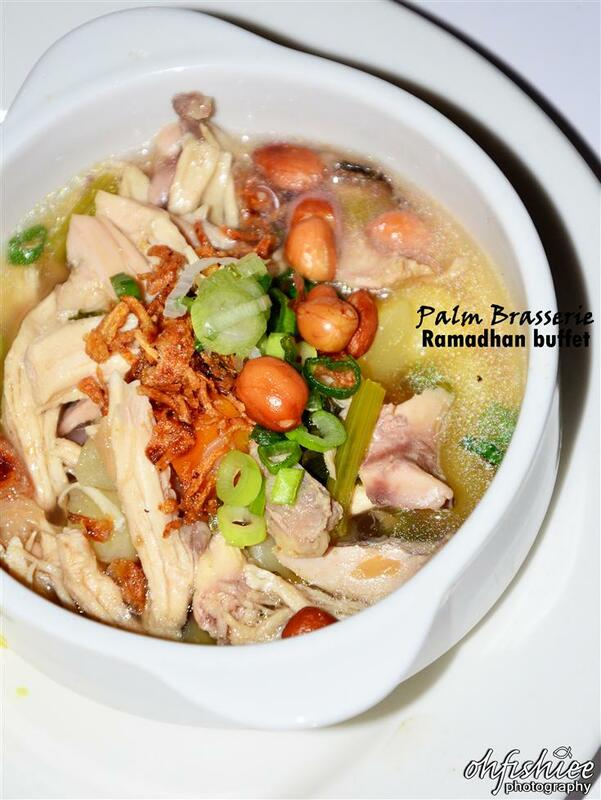 In Palm Brasserie, good food comes along with music. 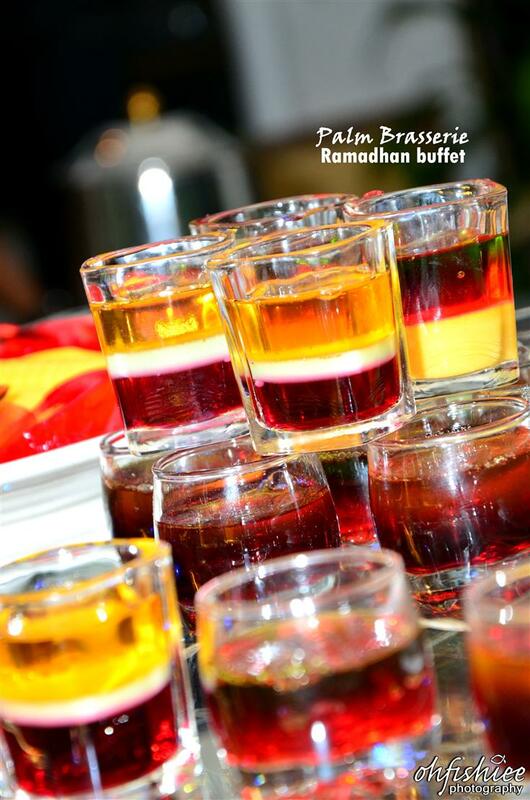 The live band performance is ready to entertain you with classical songs every weekend during the whole Ramadhan month. 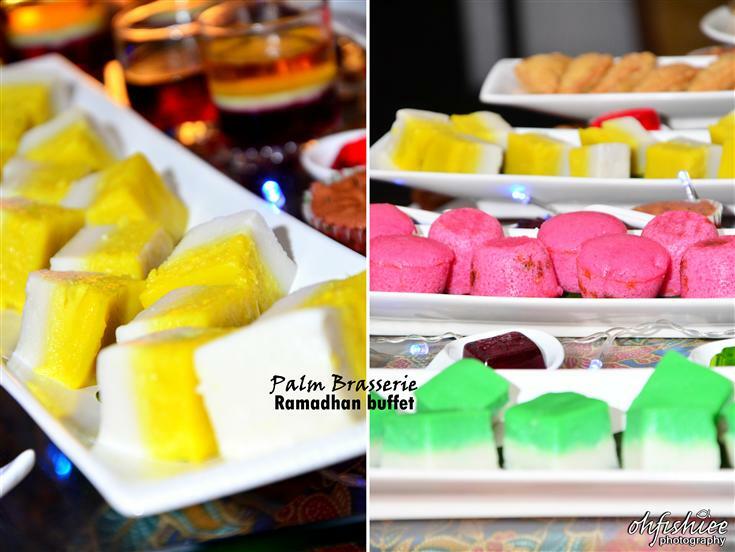 Hari Raya is around the corner, it's time to choose your perfect escapade! 1. Frankly, the buffet spread isn't as wide but the meal is complete with all the famous local favourite dishes. 3. Pricewise, my wallet is very satisfied considering the price is so much lower than in KL city. 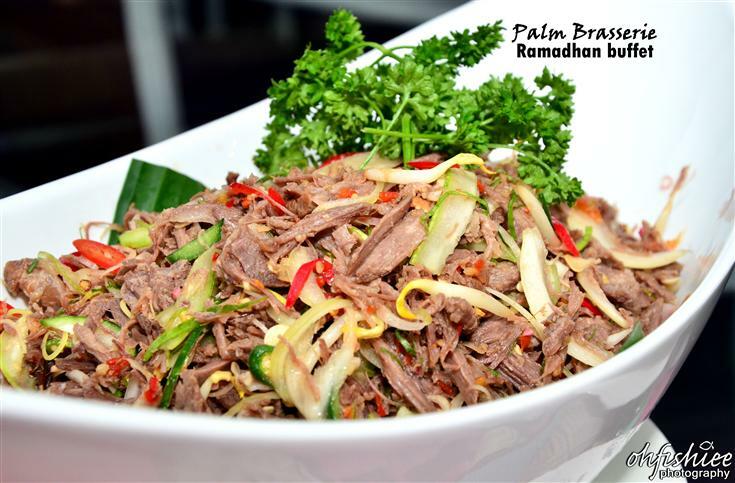 Surely you'd pay for the value of good food and some quality time with the loved ones and family during the fasting month. the food are all berry vibrant! or was it your camera setting? Yes, amazing!!! 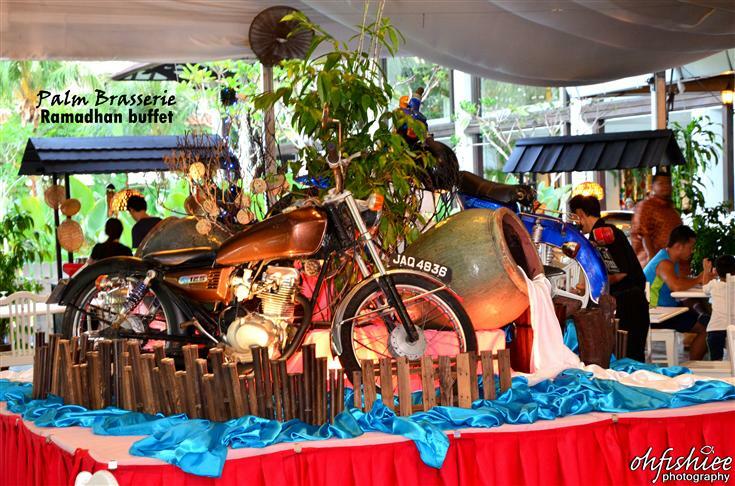 You get food tasting invites as far as till Johore!!! Wowwwww!!!! 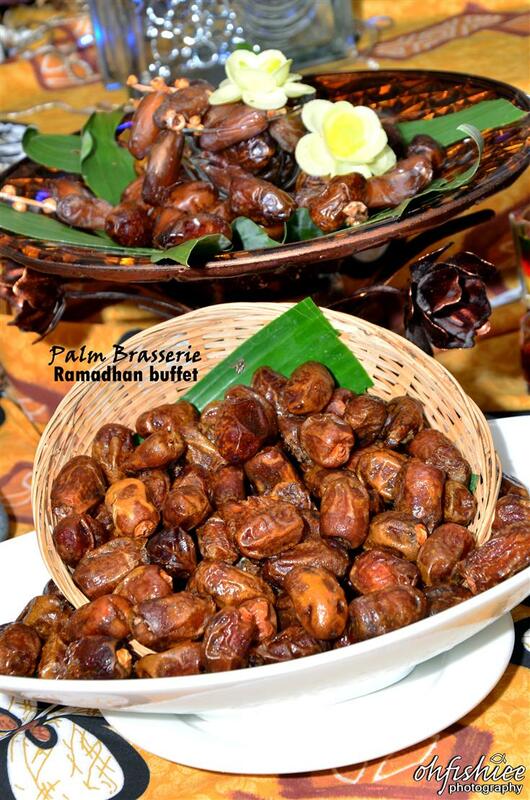 How many kg have you put on this Ramadhan? zomg that chicken shawarma. looks tasty! wah!!! You go Johor for review?? so nice, introduce me some, I at hometown Johor now...haha!!! What a tasty looking buffet! Wow...with the affordable price we can get not only spread of food but also entertainment. The variety of food there is amazing, gulai kawah, ikan pari, with a live band singing for you while we enjoy the meal and all that for only RM42++, are you KIDDING me? That's super cheap compared to prices in KL hotels. I look at all this wonderful food and haven't got a clue what it is. :) I could dive in with a fork in every dish though! 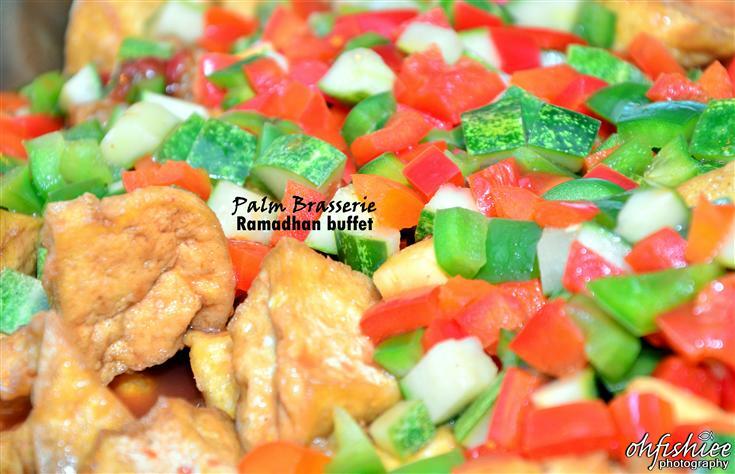 I never try Ramadan Buffet before. How I wish I have the chance to go one day. I miss the curry noodle and teh tarik there! I want that chicken curry and the fried squid please! 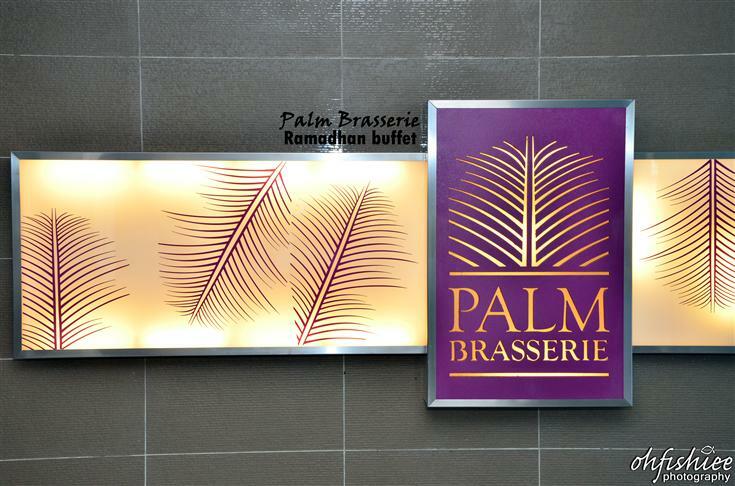 the place look great and so the food yummylicious!! That looks like a bright tropical setting. I'd so go on a buffet like this one. What a food! Ooh the price is cheap!! But less variety right?